The 2016 farm cash receipts for the district totalled $8.3 million, with $2.3 million in dairy production and $2.3 million in cattle and calves. 2016 yields for Cochrane averaged 1.5 tons/acre of hay. Based on the 2016 Census, there are 159 farms in the District with almost 10,000 hectares in crop production. The growing season ranges between 150 & 160 days. A significant Mennonite agricultural community has grown in the District, specifically around the Matheson area. 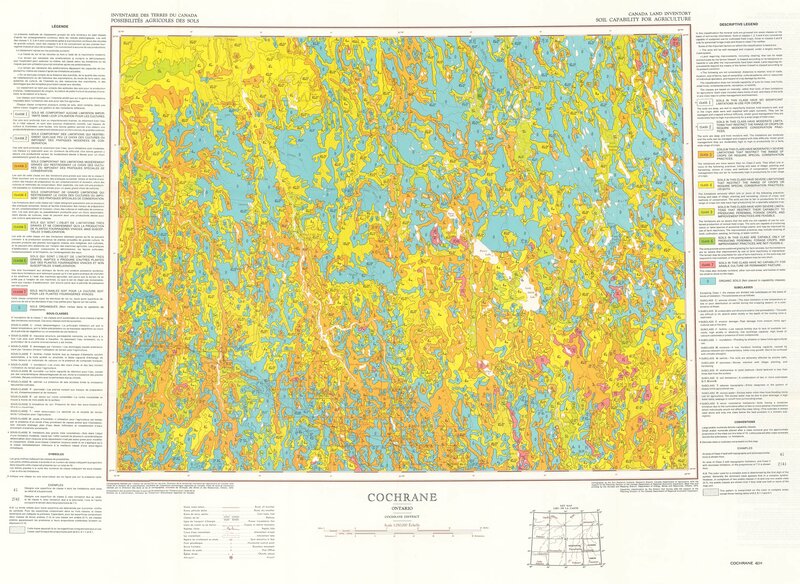 The Cochrane District contains the Ontario portion of the Clay Belt and is the focus of the current Northern Ontario Beef Expansion Project, spearheaded by the Beef Farmers of Ontario. From May-October 2016, Cochrane had an average of 545 mm of precipitation, 1,426 growing degree days and 2,226 crop heat units. Cochrane lies in plant hardiness zones 3a & 3b. Soils are primarily Gray-Luvisol, Gleysol & Mesisol – the district features deep soils with a mix of well and poorly drained clays, covered by organic deposits. 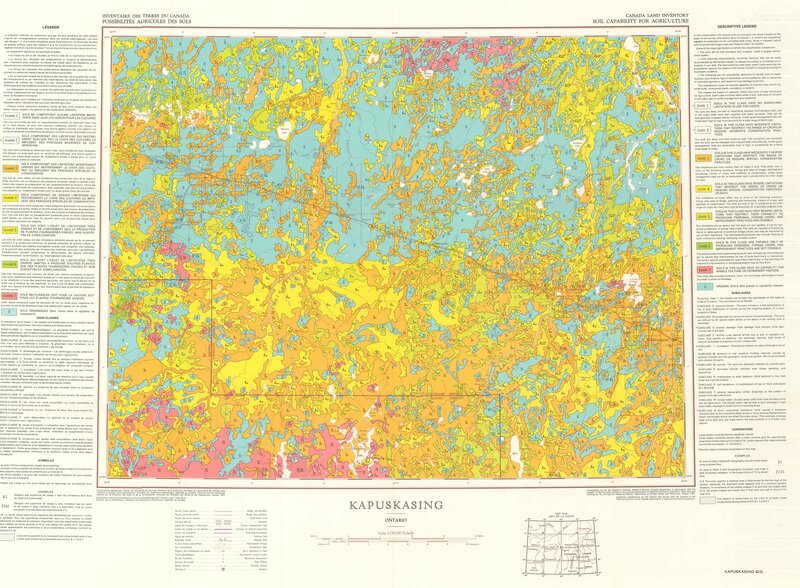 The majority of Class 2-4 soils are located in and around the communities that lie along the Claybelt, including Timmins, Cochrane, Iroquois Falls, Matheson and Kapuskasing.